Micrographics has been in partnership with HP for more than 15 years. During this time we have built up a strong relationship with HP and gained unmatched knowledge of the products and services available. We have been providing our customers with products and advice making sure that their business needs are satisfied. Print high-quality large format maps, technical drawings, posters, photos, proofs or fine art. 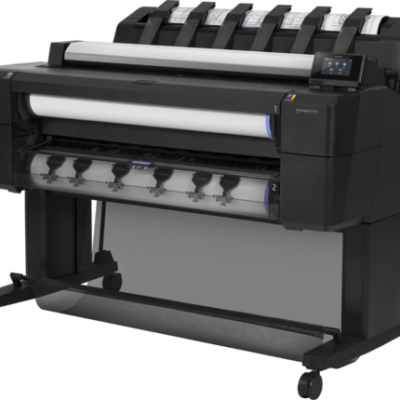 HP offers the widest range of large format printers for the technical and graphics market in the world. The HP portfolio covers the majority of customer requirements with regards to large format printing. Reliable, accurate and easy to use. 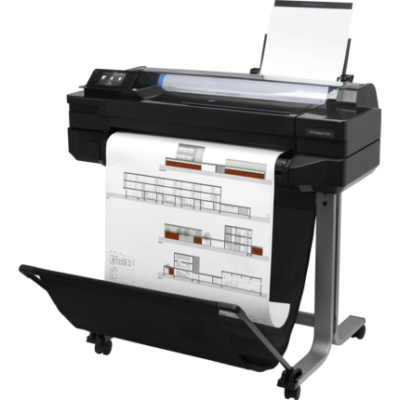 A compact HP DesignJet 24inch/A1 printer for the small engineering or architectural firm with low volume requirements. 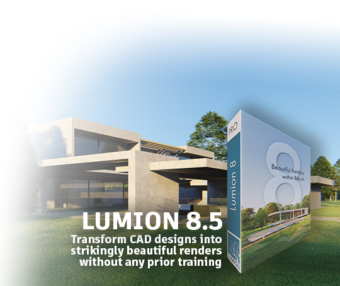 Produce a range of applications including architectural designs, maps, photos, and presentations. 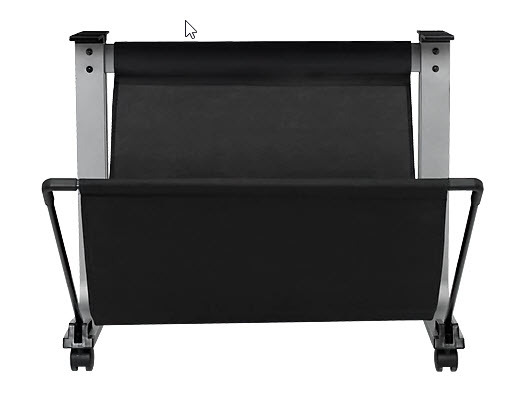 Supplied with legs and a stand for easy office placement and positioning. Ideal for 1-4 users. Printing speed: 35 sec/page on A1/D, 70 A1/D prints per hour. Memory: 1GB. Media handling: Sheet feed, roll feed, input tray, media bin, automatic cutter. 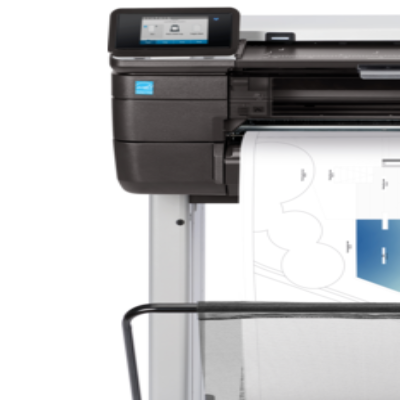 The most affordable 36-inch HP DesignJet printer form small businesses with low volume requirements. Produce a range of applications including architectural designs, maps, photos, and presentations. Ideal for 1-4 users. Printing speed: 35 sec/page on A1/D, 70 A1/D prints per hour. Memory: 1GB. Media handling: Sheet feed, roll feed, input tray, media bin, automatic cutter. 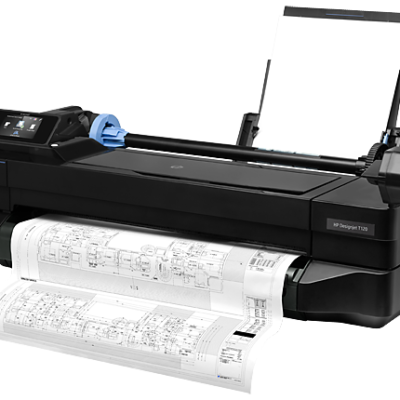 The most affordable and easy to use HP DesignJet printer! An ultra-compact 24 inch/A1 printer for the small engineering or architectural firm with low volume requirements. Print easily from your PC, laptop, smartphone or tablet with HP Mobile Printing. Ideal for 1-4 users. Printing speed: 70 sec/page on A1/D, 40 A1/D prints per hour. Memory: 256MB. Media handling: Sheet feed, roll feed, input tray, automatic cutter. Boost productivity. Rely on a single, intuitive control panel for print, scan, and copy tasks. Stay organised with an integrated 50-page output stacking tray. Experience flexible dual-roll printing. And print straight from your mobile device. 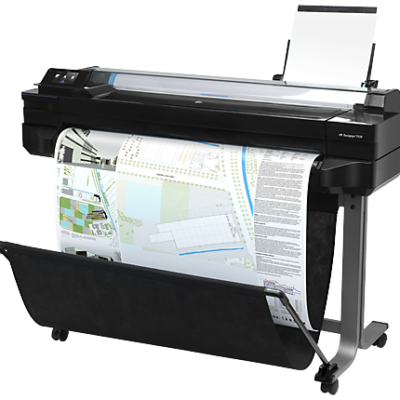 Print, scan and copy to maximise workgroup productivity and enterprise security with this dual-roll, 6 ink 36inch/A0 printer for professional quality CAD and GIS applications. Produce plans, drawings and maps with fine line quality, up to 2400 dpi. QUALITY – Your projects, presented at their best! 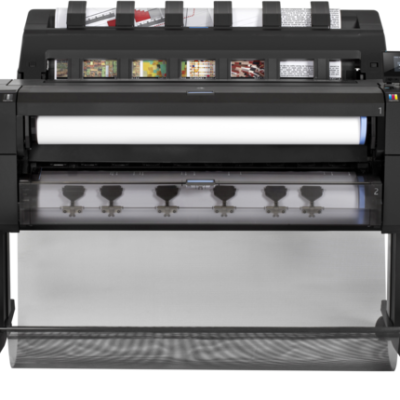 Spool larger and more complex files due to more powerful processing capacity with this 6-ink HP DesignJet T930 A0 printer for professional-quality CAD and GIS applications. Produce plans, drawings and maps with fine line quality, up to 2400 dpi. QUALITY – Your projects, presented at their best! Ideal for 1-50 users. Printing speed: 21 sec/page on A1/D, 120 A1/D prints per hour. Memory: 64GB file processing and 320GB hard disk. Media handling: Automatic front-loading roll feed, sheet feed. Print, scan and copy to 36inch/A0 for an unbeatable price with this robust and compact WIFI connected printer for CAD and general-purpose applications. Communicate more effectively with scan and copy capabilities. Enjoy easy installation in the office, construction job site with the most compact 36inch/A0 large-format MFP. Ideal for 1-4 users. Printing speed: Print line drawing (economode, A1 plain paper) 25 sec/page, 82 A1 prints per hour. Scan speed: Up to 3.81 cm/sec (colour 200 dpi), upt o 11.43 cm/sec (grayscale 200 dpi). Memory: 1GB. Media handling: Sheet feed, roll feed, input tray, media bin, automatic cutter. Multifunctional – print, scan and copy to 24inch/A1. 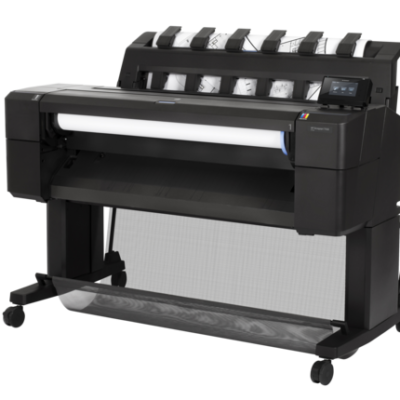 The most compact large-format A1 MFP in the market. Easy-to-use MFP enhances team collaboration with mobile printing/scanning. Convenient, fast, agile and intuitive! Ideal for 1-4 users. Smart investment architects, engineers and construction professionals. Robust, professional and compact WIFI connected 36inch/A0 printer for CAD and general-purpose applications. Print easily on-the-go with HP Mobile printing from a PC, laptop, smartphone or tablet. Produce prints up to 3 times faster than previous HP models such as the HP Designjet 500 & HP Designjet 510. Ideal for 1-4 users. Printing speed: 25 sec/page on A1/D, 82 A1D prints per hour. Memory: 1GB. Media handling: Sheet feed, roll feed, input tray, media bin, automatic cutter.